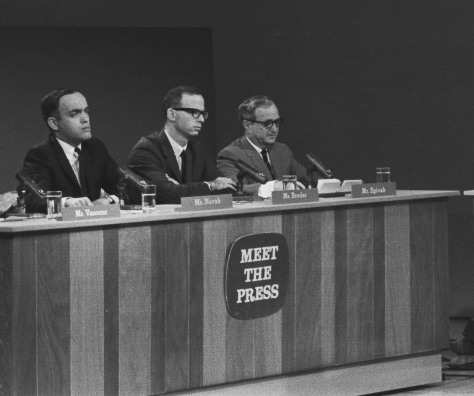 David Broder on the panel for the July 3, 1966 show. On the right, moderator Lawrence Spivak. On the left, Robert Novak. Click here to watch a clip from this broadcast. 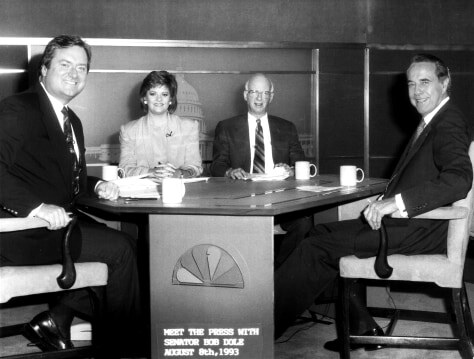 David Broder celebrates 30 years of appearances on Meet the Press on set, after his July 18, 1993 appearance. 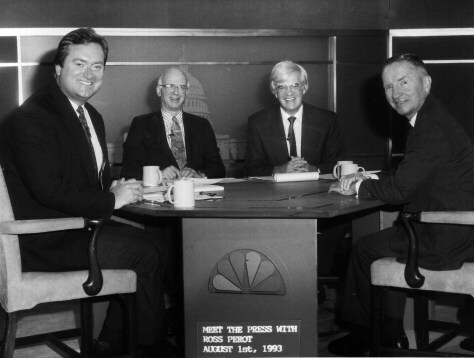 David Broder on set with Tim Russert, Al Hunt, and Ross Perot on August 1, 1993. 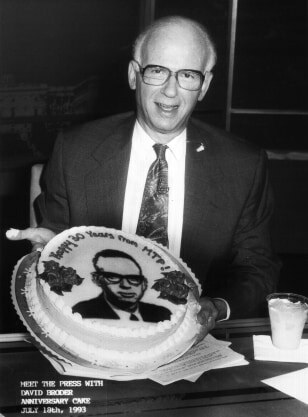 Later in his career, Broder remembered this interview with Perot as a “make or break” moment for the Texas politician. 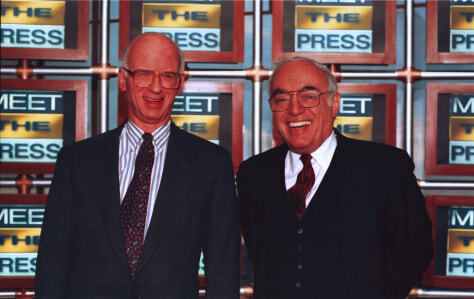 David Broder and Robert Novak on set after their January 4, 1998 appearance on "Meet the Press." 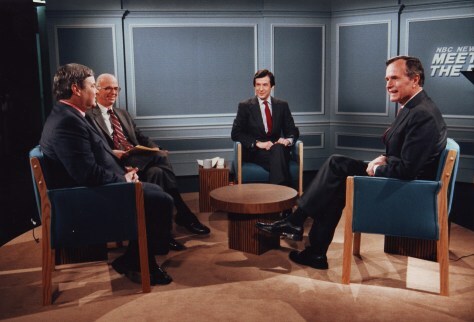 The two have appeared on the program more than any other guests. 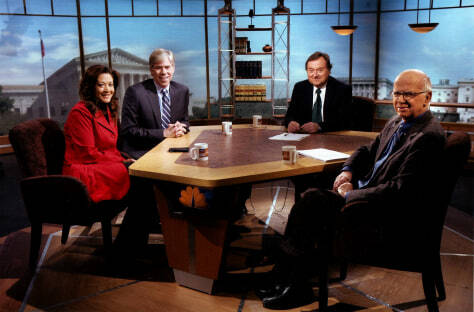 Click here to watch a 2007 video of the pair discussing MTP's role in shaping the Washington news cycle. 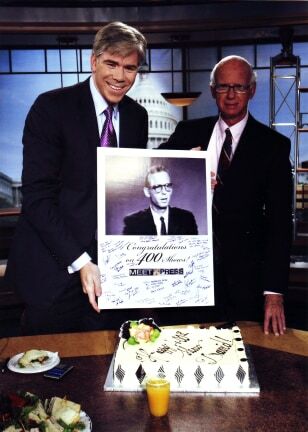 David Broder celebrates his 400th appearance on Meet the Press after the August 10, 2008 show. He holds the record at 401 appearances. His first appearance was July 7, 1963. Luke Russert and Paul Ryan chat about exercise, diet and how the prospect of death can be a personal and professional motivator. Rubio and Cruz’s Last Stand?